My client recently went under contract with one of Taylor Morrison’s homes at Adora Trails in Gilbert. My client wanted to schedule a third-party inspection prior to drywall. This is within the buyer’s rights with new construction homes, but is often not mentioned by builder’s representative. I quickly contacted Taylor Morrison’s sales representative to get the inspection scheduled as soon as possible. But, unlike with most other builders, it was not that easy. Taylor Morrison requires 30 days’ advance notice of the buyer’s intent to schedule an independent home inspection to the seller’s customer care representative. Taylor Morrison also requires that the independent inspector provide proof of liability insurance coverage of at least $1 million. The sales representative mentioned that it would take a few days for Taylor Morrison to get an approval and discouraged me from continuing to pursue the independent inspection because of the lack of time before drywall installation. He also mentioned that Taylor Morrison takes pride in quality work. Also, I was told there is NO assurance that they will fix any items listed in the independent inspection. I shared this information with my client and he decided to waive the third-party inspection. I’m disappointed that Taylor Morrison didn’t do more to accommodate my client’s request. This incident reduced my level of trust in “America’s Most Trusted Home Builder.” How can you trust a builder who doesn’t help a buyer complete their own independent inspection? It makes you wonder what they are hiding. I understand that Taylor Morrison doesn’t want to delay closing a sale, but in this case, even though construction seemed ahead of schedule and they had time to allow a third-party inspection, it felt like they didn’t want to accommodate or bother with it. My client closed on the home ahead of schedule. Other than this request, he was happy that all other aspects of the sale went smoothly. On the other hand, Lennar Homes at Layton Lakes allowed two of my other clients to complete an independent inspection with short notice. Lennar Homes fixed the items identified by the independent inspector, including an accidental leak that occurred at time of inspection, and my client was happy. The next time you shop for a new home, have your Realtor ask the builder about their independent inspection procedures. You’ll find that one builder may be more flexible than another. And the peace of mind of having an independent inspection is priceless. by: Maria Hass – The Uniform Collateral Data Portal® (UCDP®) is a single portal through which lenders electronically submit appraisal reports for conventional mortgages delivered to Fannie Mae or Freddie Mac. Through UCDP, lenders can upload appraisal data and view edits and submission details. But what does the UCDP really mean to you? Prevents Home Values from surging -The portal was created to prevent another housing bubble which occurred in 2005-2006 by identifying appraisers whose home evaluation is inconsistent with the norm. In the last year or two, home values have remain steady. Simplify process – The portal is able to identify any red flags in the appraiser’s evaluation (square footage, number of rooms, lot size and so on) for the underwriter to review. Low appraisal – UCDP controls home appreciation. More homes are faced with appraisal issue and Realtors and Sellers are more likely to keep their listing low to a fair market value to “list to appraise”. Some homes can appraise for more but are appraised for less for fear that the appraiser could eventually lose his/her license. There are two opposing views on the creation of UCDP. One view is, UCDP prevents a housing bubble and in contrast, UCDP drives home values down. If the market is fairly strong UCDP takes less of presence in determining home values. But if the market slows down, it will have a significant effect in keeping home values low. Why Buy Real Estate in the Philippines NOW? At the end of the presentation, I didn’t just get answers to this question, but more compelling reasons to invest in real estate in The Philippines. I am not the type of person who is easily impressed, but the economic signals presented and my last visit to the Philippines strongly indicate that The Philippines is poised for greater heights. 1. Language – The Philippines is an English-speaking nation. This means English-speaking foreigners can easily adapt to the country. It is a huge attraction for businesses, business people, their families and friends to relocate and make The Philippines their home. 2. Vibrant and Young Generation – The median age of people living in the Philippines is in their 20’s-30’s. This category of people are on the go, tech savy, explorative, can adapt to changes and best of all has a long life ahead of them. Businesses are always looking for long time and loyal customers and whose referrals can extend to several generations in the family tree and a strong and talented work force to develop the business. 3. Consumer Spending – Filipinos are fun-loving, friendly social people who like to eat, shop and hang out with friends. No wonder the largest malls in the world can be found in The Philippines, including SM Mall of Asia, SM City North EDSA and SM Mega Mall. Filipinos love hanging out at these huge malls. Consumer spending is strong and is fueling the growth of the economy. 4. Population – According to the Philippine Commission on Women,the Philippines is among the most populous countries in the world, ranking 12th globally, 7th in Asia, and 2nd in the Southeast Asia. Its population continues to increase with an annual growth rate of 1.90 percent. Businesses need people to consume their goods or services. 5. Real Estate Value – The price of homes in the Philippines is fairly affordable compared to United States, Europe and neighboring countries like Singapore. You can buy a property in Cavite for $10,000. A three-bedroom house in Nuvali starts at $98,000. 6. Cheap Labor – Retirees benefit from hiring a private nurse, cook, nanny for a very low price. Medical enhancements such as face lifts are offered at rock-bottom prices. Any form of service is relatively inexpensive compared to other parts of the world. Economic reports validate these observations. Bloomberg and Forbes Magazine describe The Philippines as a dynamic, robust, young and booming nation. Finally, CNN Business News reports, “By 2050, The Philippines will leapfrog 27 places to become the world’s 16th largest economy.” This is the biggest jump any country is projected to make by 2050. For a full story of this article go to http://business.blogs.cnn.com/2012/01/12/worlds-top-economies-in-2050-will-be/. The potential for growth is enormous and opportunity to invest is huge. 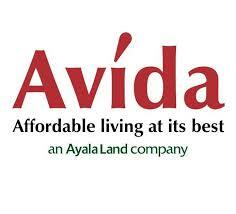 A leading company that develop commercial and affordable residential developments in the Philippines is Ayala Land, Inc. 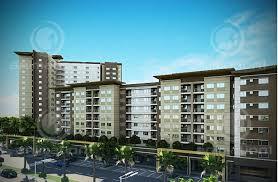 It is the largest property developer in the Philippines with offices recently opened in California and Arizona. It is owned by the Ayala group of companies. Avida Land Corp, the name representing multiple condominium and single family detached home projects all over the country won 2 distinguished international awards in 2013. Judge by a panel of international experts, Avida Land received The Asia-Pacific Property Awards for the Highly Commended Mixed-use Development for Avida Towers Riala and Highly Commended Residential High-rise Development for Avida Towers Centera. 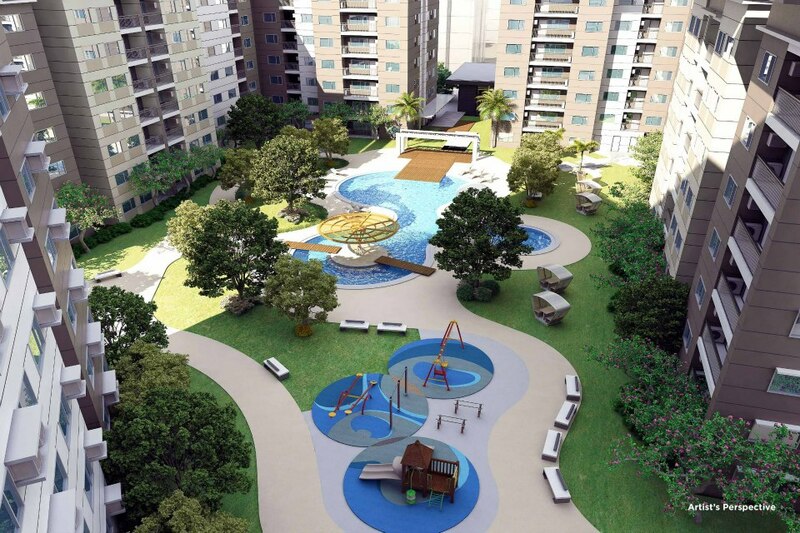 Avida condominiums and “house and lot” is projected to appreciated at 7 percent to 11 percent annually compared to United States average annual real estate appreciation of 3 percent to 5 percent. The terms are easier and rental value exceeds your mortgage payment which provides for positive cash flow. As a real estate consultant in Arizona for eight years, having easy terms, steady value appreciation, positive cash flow, booming and vibrant economy, low interest rates are great reasons to buy real estate in the Philippines. So, if you’re searching for a place to invest some of your hard-earned money, you may want to look into real estate in The Philippines now, before home values become unaffordable. Contact (480) 650-0075 if you have any questions about this blog or investing in the Philippines. It’s not pleasant to have to come to this conclusion, but it would appear that “common sense” may not be so common at Ocwen when it comes to the handling of short sales. First of all, Ocwen requires that a borrower be 60 days late (or more) on a payment in order to approve a short sale. Regardless of the circumstances of the situation, Ocwen has declared a company policy that denies a short sale when the borrower is current with their mortgage. So, if a borrower is relocating or if a borrower’s relative has been temporarily paying the mortgage to save the borrower’s credit, it won’t matter to Ocwen. Instead, Ocwen will come back with a denial and a require a TOTAL payment of the balance owed in the loan. This is a “poor” business decision, since it is ridiculous to ask for the total balance due from someone who has no money. It doensn’t make sense for Ocwen to lose more money by waiting for the borrower to be delinquent. This Ocwen company policy should be communicated to ALL authorized parties in writing at the BEGINNING of the short sale application process to expedite short sale approvals. When dealing with Ocwen, parties negotiation a short sale need to be prepared to talk to someone in India, since the company outsources its jobs offshore to save money. In addition to making international calls, be prepared to know that many times, Ocwen representatives provide conflicting and misleading information. At one point, one Ocwen representative said that I did not need to submit additional documents and that the file would be reviewed. Two days later, I receive an email requesting more documents. Then, a representative located in India instructed me to email the short sale packet to ss@ocwen.com, which I did. The email was not returned, and I thought it was successfully delivered. A week of follow-up showed that the email was never received, and I was required to fax the documents instead. Simply finding out what documents Ocwen required to process a second lien short sale was also a struggle. Again, the representative from India said there are NO documents necessary other than an approval from the first lien, which I found rather absurd. Because of this, I had to contact the office of Ocwen’s president to get corrected answers to a simple question. It seems like every step with Ocwen is a more like a hurdle. Why do People Chose to Live in Chandler? Selecting an area in which to live takes time and research. Every place has its own merits and faults. To help families get to know the City of Chandler better, I’ve asked several Chandler residents why they chose Chandler as the town in which to live. * “I like the location. It is close to everything such as schools, airport, mall. My family grew up in Chandler. We live in North Chandler in the older part of town. Having an older home is perhaps one of those things I would change.” – Rose, 22 years in Chandler. * “I like the developments in Chandler compared to other neighboring cities. The homes are newer in Chandler, bigger homes and it is close to freeways, schools and ASU, which allows easy access to neighboring cities. Chandler has strong neighborhoods and a very good school district and strong employment like Intel. Unlike Mesa, Chandler doesn’t have mixed neighborhoods of nice developments adjacent to run-down houses. Maricopa and Queen Creek are too far. It never occurred to me what I don’t like about living in Chandler. Chandler is the place to be.” Millicent, 13 years in Chandler. * “Chandler offers great location, highly-rated schools, strong neighborhoods, numerous community service activities for all ages, strong employers like Intel, Microchip, Orbital and Wells Fargo to name a few. Chandler is centrally located and offers close access to other cities, mall, schools, freeways, employers and more. What I don’t like about Chandler is high taxes compared to other cities at around 9 percent, and the crowd of “illegal aliens” hanging out early mornings at the Circle K gas station in Downtown Chandler looking for work. These people remain unattended and unnoticed.” – Michelle, 6 years in Chandler. I support the reasons given above by Chandler residents. But what makes Chandler stand out from other neighboring cities? 1. The City of Chandler was voted an “All American City” in 2010 due to the quality of lifestyle and services it provides to residents. This distinction is carried on and remains a focal consideration in Chandler’s existence. 2. Chandler has the highest number of award-winning aquatic facilities in Metro Phoenix with seven lap pools and kids pool areas. 3. Chandler Unified School District (CUSD) was ranked among the top 10 school districts in Arizona by schooldiggers.com and CUSD surpassed the state measurements for meeting and exceeding grade levels in 2011. 4. Chandler has a strong and conservative budget. The recession took a bite from the city budget but Chandler’s city financials looked stronger than its neighbor cities, thanks to conservative city officials who kept a tight lid on expenses and balanced the budget to prepare for future mishaps. 6. This city is open to diverse ethnic backgrounds and ages. Lee Lee Supermarket, the largest oriental market in the state, is located in Chandler and is a hub for Asian and other immigrants. Around it are Asian-owned businesses ranging from Chinese, Vietnamese, Indian, Fiilipino and more. 7. Chandler caters to diverse age groups. There are four active adult communities in Chandler alone — namely, Springfield community, Solera, Sun Lakes and Sunbird. There are also master planned communities in Chandler like Rancho Del Ray, Fulton Homes community and the upcomming Adora Trails. New construction permits are increasing in Chandler. Maracay Homes Stonefield along the Price corridor, Shoreline at Fulton Homes on Arizona and Ocotillo, Evans Ranch by Lennar at Chandler Heights and Val Vista, Andorra Trails on Riggs and Lindsay, Cachet and Calex homes on Arizona and Queen Creek Rd and more. 8. Chandler is home to many big employers like Intel at Ocotillo and Rural Rd, Orbital, Microchip, Wells Fargo, Avnet and many more. These companies attract the best workers who value a high quality of life. 9. Chandler real estate continues to prosper. Chandler is one of the top two cities (the other is neighboring Gilbert) with the most homes sold in the last year, and its home values rank higher than any other Southeast Valley cities. These reasons sum up why the City of Chandler is one of the most sought-after cities in Metro Phoenix. Cromford Report, a highly recognized real estate market tracker reports that the number of active short sales in the Multiple Listing Service (MLS) in Metro Phoenix have increased by 35% compared to last year from 11,992 on May 8, 2009 to 16,326 yesterday. To help homeowners who are unable to keep their homes under the Home Affordable Modification Program, the Home Affordable Foreclosure Alternative (HAFA) program may make a short sale or a deed-in-lieu of foreclosure a viable option to help them avoid foreclosure. The HAFA Program, which took effect on April 5, 2010, provides servicer, seller and junior lien holder incentives for these transactions and is designed to simplify and streamline use of short sales and deeds-in-lieu of foreclosure. To understand the HAFA program, click on the link below to watch the video. http://link.brightcove.com/services/player/bcpid1465406675?bctid=75779465001 . You may also go to Nar.org for more information. Time will tell if HAFA will hold any promise. Earlier the government initiated loan modification rescue plan dubbed as Home Affordable Modification Program or HAMP helped almost no one. The failure was largely due to the fact that lenders are not obligated to join the program and HAMP qualifications apply to only a few. If HAFA makes sense or should I say, “cents” to the lenders and is effectively executed then perhaps, we will see the goal of expediting short sale come to fruition. Thereby, truly helping distressed and troubled homeowners.